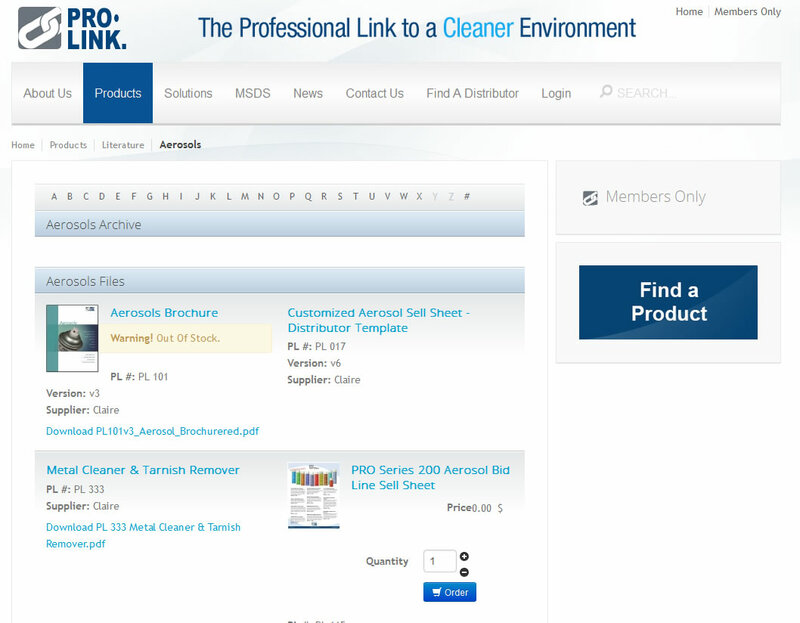 Web site Development with Joomla - Creative Networks Protocol Inc.
Pro-Link is a national janitorial supply organization with more than 100 distribution points throughout the United States. 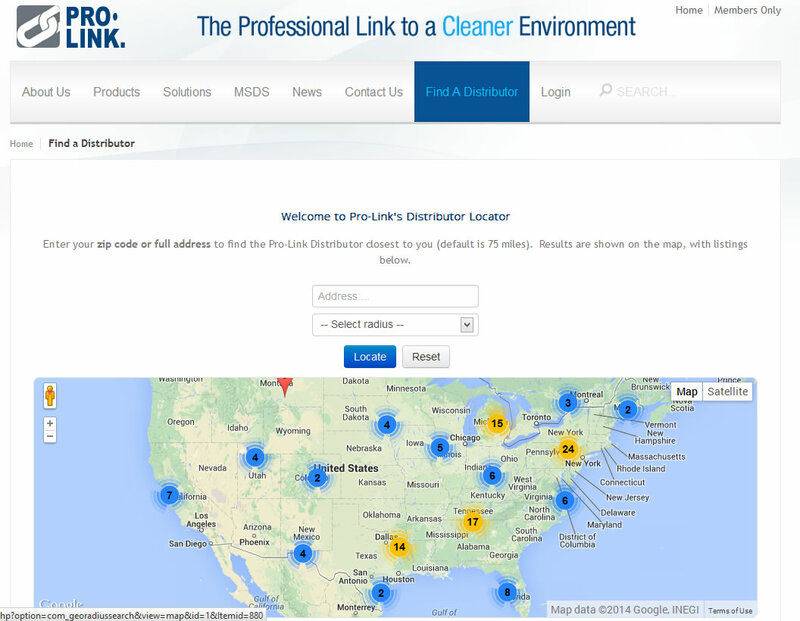 Pro-Link and their network of distributors offer high quality janitorial products, green cleaning products and innovative services to deliver better cleaning, increased productivity, improved worker safety and lower total costs. They back up their quality products with professional field support and training programs, including comprehensive programs for green cleaning, building service contractors and national accounts. 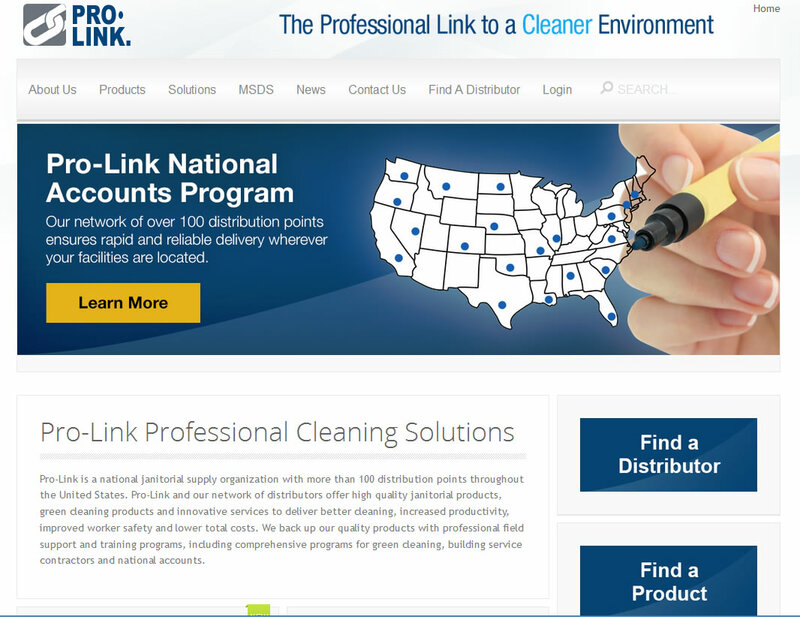 The Pro-Link organization has been a leader in providing cleaning solutions through their member network throughout the US. In 2013, they launched a Competitive Advantages program, working with members to develop a consistent, nationwide competitive advantages position that addresses what end users find important. This builds on Pro-Link's established programs for their Members for green cleaning, BSC's, and long term care, as well as their GSA contracts. By leveraging the new version 3 series of the Joomla! CMS, the Pro-Link team can now take advantage of improved security, a responsive design, ease of maintenance and a host of other great features. Viewers now can access content directly in their desktops, mobile devices and tablets all from the same platform. In addition to the existing capabilities Pro-Link members have found useful to their sales and procurement processes, there are several new performance enhancements and features designed to provide easier access to information. Combined with clean new design elements, this powerful Joomla platform will help spark the Pro-Link community and pick up some well-deserved enthusiasm. 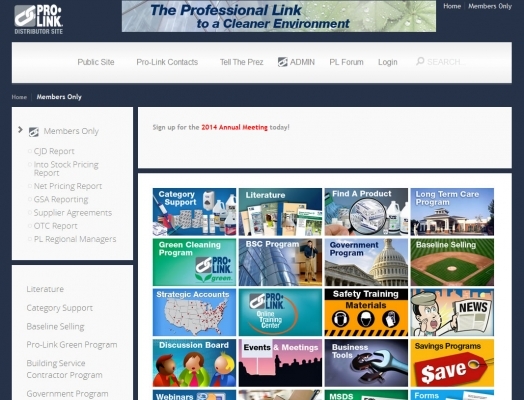 While the portal is focused primarily on providing information to members of the Pro-Link organization, the site will be offering a communication platform for a new tier of users. Special promotions and collaborative marketing initiatives can now be pushed out to further assist membership opportunities and drive unique visitors or prospects to their online community.